Wow, I am late. I wanted to get to the pics I took of the Zoolights, and here it is 3 days later and I still haven’t had the time. I spent yesterday working on a Christmas gift, must get done now because of lab printing deadlines. Tonight I am up late finishing another similar gift. I still haven’t started the family calendar, don’t tell my brother and sisters !! Its in my head, does that count ? I follow several blogs ( you know who you are out there!!) Everyone else seems to have time …. arggghhh. I am so jealous! So this is a quickie just to let you know I am busy chasing my tail here and have no time to play ::sob:: but I am thinking of you, and my promise for more Zoolights images. I will have them up as soon as I can ~ stay tuned. But I did make this photo yesterday, for your eyes only ! Enjoy the many colors of Rayne. 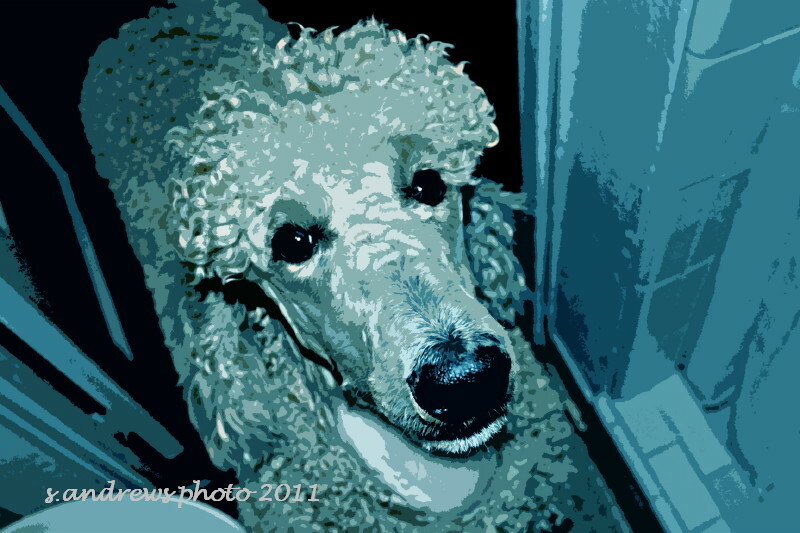 This entry was posted in photography, uncommon everyday art and tagged Blue, color, Green, photography, poodle, pup, purple, rain, Rayne, Red, tan.